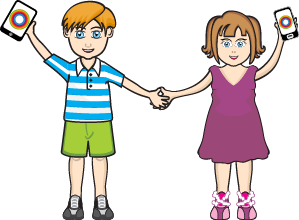 Kidosphere is a publisher of iOS(iPhone, iPad, iPod Touch) and Android apps for preschool stage kids. Our mission is to create insanely beautiful apps that generates sense of aesthetics, creativity and purpose in kid’s life as a foundation values. Our team consists of experience architects, developers, and illustrators. Together we try to make digital products that kids love to play with. Kidosphere.com is a digital publishing initiative of Fliplog.com and addresses preschool and day care center market. If you want to say a quick hello – we are also on Twitter and Facebook. Kidosphere team believes that great app experience for kids will come from understanding the right balance. We call this balance ‘slice of life’. Pizza slices in the circle refer to different activities kids are usually engaged in – playing in the park, reading books, watching TV, school, hanging out with friends and using apps. We rotate this wheel once in a while to shake our assumptions. In this journey we have partnered with progressive parents, teachers, preschool operators and children book publishers. Quest to find the right balance is on!